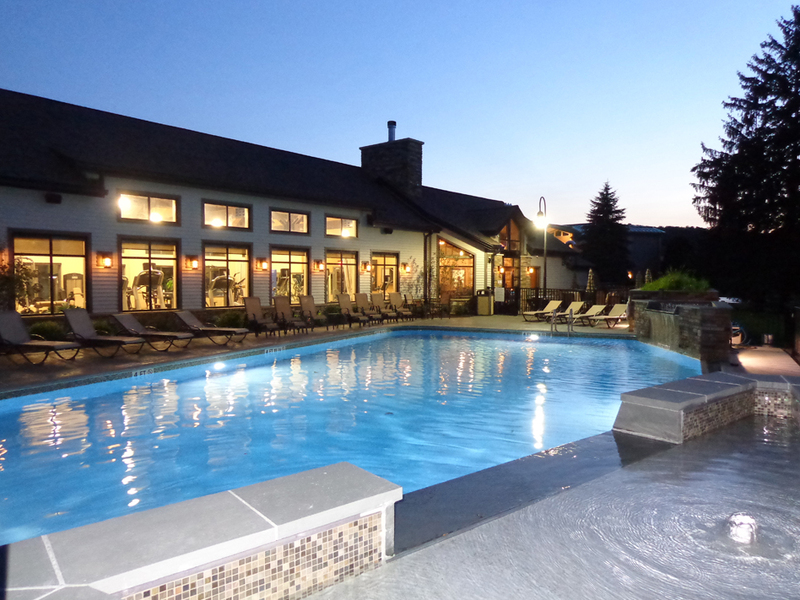 Fairway Suites at Peek’n Peak has a pool set on beautiful grounds with a welcoming, large patio surrounded by a rose garden. 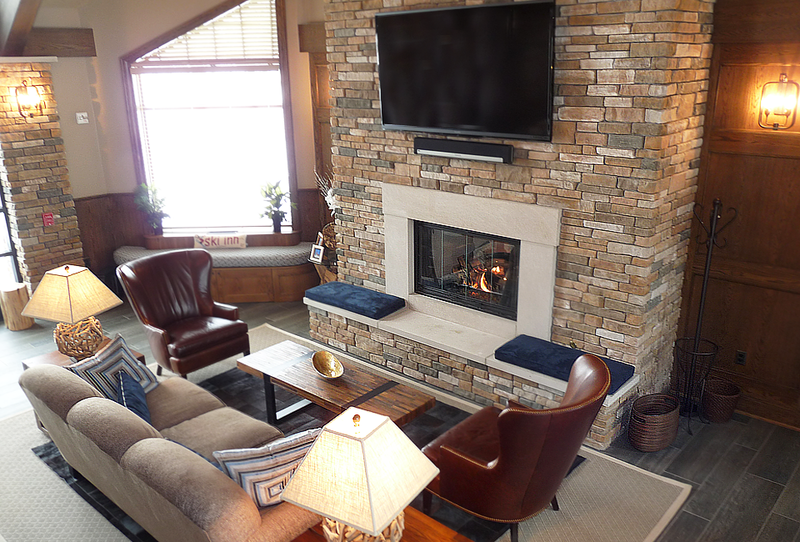 We have crafted a resort atmosphere, with sweeping fairway views and exclusive perks. 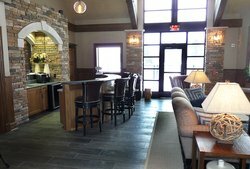 Our premier feature is The Clubhouse, a restaurant with a brand new menu, event space, and fitness center all in one. Access to The Clubhouse will elevate your stay with delicious food and one of the best wine selections in the area. If you’re coming to our hotel for a special occasion, we can help coordinate events on the property—from intimate gatherings to large meetings. 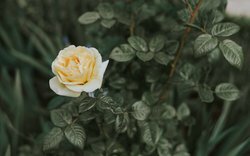 The property is surrounded by beautiful gardens, dotted with over 30 varieties of English roses. Overlooking the rolling land with the lovingly maintained gardens all around us, there’s a beautiful view from every suite’s private balcony or patio. We are a pet-friendly hotel! Fairway Suites at Peek’n Peak is happy to invite your four-legged pal to stay with us: we welcome dogs of all sizes. We understand that pets are members of the family too, and they’ll enjoy your vacation just as much as you! 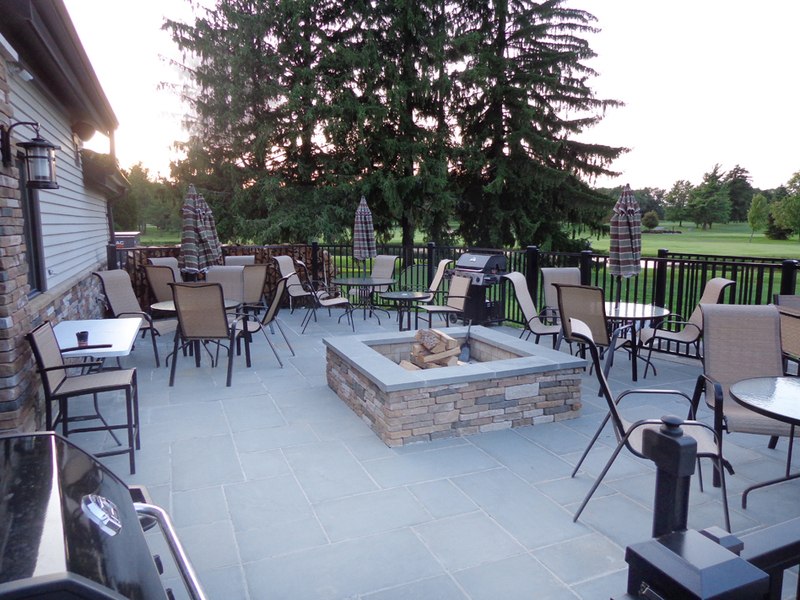 Join us on our bluestone patio, set up for year-round outdoor relaxing and socializing. 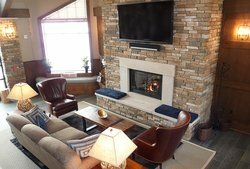 In the winter, the patio’s fire pit is ready to crackle away and keep you warm as you enjoy a glass of wine from The Clubhouse. In summer, relax in a poolside lounger or gather with your whole group on the patio furniture. The patio can also be used for outdoor events! 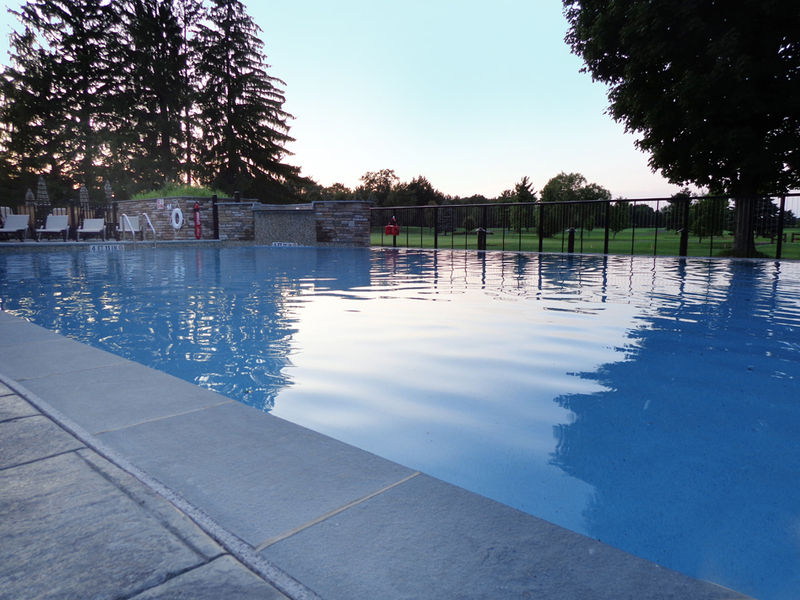 Our infinite pool is one of the hotel’s stand-out features. 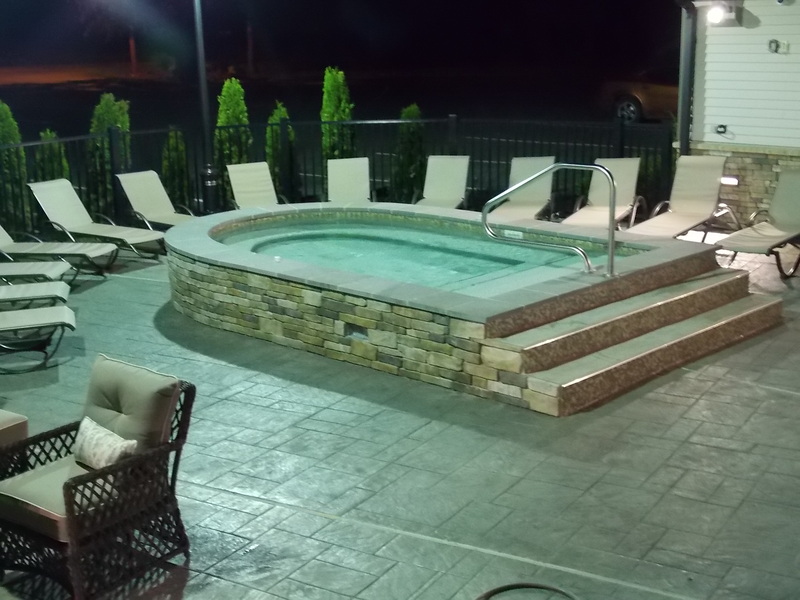 Take a dip in the saltwater pool’s warm waters, and enjoy the splashing water feature. The pool is open seasonally, from May through October. Our over-sized, all-season hot tub bubbles away all year round. Enjoy a glass of wine in the hot tub in the snow for a unique experience! Explore Clymer and Peek’n Peak by bike! 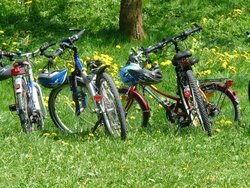 We offer a bike rental service with bikes sized for the whole family. 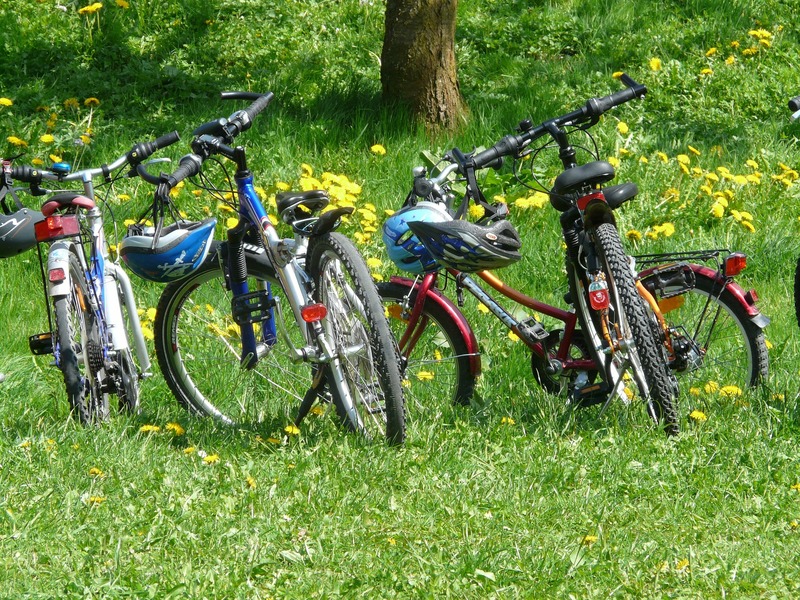 Take advantage of the bike trails and beautiful views close by. Make sure to ask for our recommendation on where to go and the best routes for your activity level!